Throughout British India history, after the take over of the huge province of Bengal in the late 1600s from Nawob Siraj-ud dualah, the British East India company had been on a land grabbing spree from the Indian rulers across India and many of them lost their kingdoms, pelf and power. The British took over their lands, palaces, etc., through dishonest and diabolic means, following the dictum of ''divide and rule''. 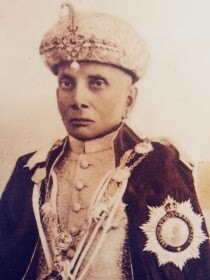 For instance in the north, the last Mogul emperor Bahadur Shah II (1775 -1862) was deposed mercilessly in 1858 by the British East India company and exiled to Burma. His death marked the end of the Mogul dynasty. The last young Mogul princes were murdered by a British military officer by shooting them at Khoon Dharwaza near Delhi towards the end of 1857 Sepoy Mutiny. In the south, as early as 18th century, Velu Nachiyar, Rani of of Siva Gangai, was in exile along with her daughter for eight long years near Dindukal, under the protection of Hyder Ali and one Gopala Naicker. Being a courageous woman, she took revenge on the British, who killed her husband, first queen, their son and some of her close relatives. In 1780, she fought the British along with Gopala Nayaker and Hyder Ali and won the battle and got back her kingdom . The British gave all kinds of problems to the Maratha rulers of Tanjore (Thanjavur,TN) and rulers of Mysore kingdom during the same period. When the British had set their eyes on the State of Cochin, Paraukutty Amma, consort of Maharajah Rama Verma of Cochin, was more or less in the same situation of loosing her small kingdom - a tough situation , she had to solve with meticulous care and and careful diplomacy. Unmoved, she chose a different path by becoming a nationalist and fought the British along with other prominent freedom fighters. It was an intelligent move, because the entire India would be behind Paraukutty Amma, if the British made a wrong and an aggressive approach to grab the kingdom. That she did not let the British cow her down shows her innate fighting qualities as commonly one finds among the women from Kerala. In this respect . she was a maverick, not many princely classes would tread a path wrought with dangers. But, Parukutty Amma was a courageous woman, not to be intimidated that easily. Unexpected turn of events in the royal family put the ruling members in a fix with respect to successor to the throne in the aftermath of abdication of the present ruler. As fate would have it, Rama Varma Thampuran had to become a ruler again. In the olden days, Indian royal rulers seldom ever allowed the women of ruling class to take the responsibility of administration. 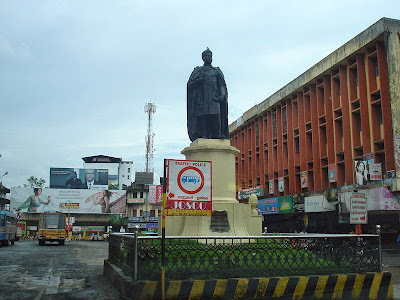 As for Rama Varma of Cochin, a scholar he believed in women's equality. No doubt, the Nethyar Amma was entrusted with the management of state finance. Through various fiscal measures, trimming unwanted expenses, etc., she vastly improved the revenue and the government coffers, for the first time, showed increased revenue and surplus funds. Being a just woman of integrity, she had treated her palace workers well and, as an incentive, she increased their salaries. This move would make the enthusiastic workers work with better efficiency. Parukutty Nethyar Amma earned a special honor - a 17-gun salute in recognition of her talents for improving the state revenues. with Gandhiji and other leaders. One Kurur Nilakantan Namboodiripad, the head of the Congress party in Cochin was her cousin. 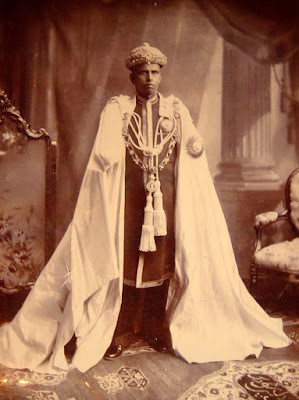 In those colonial days, Congress leaders like Jawaharlal Nehru, and others used to stay at Cochin with one Narayana Menon, father-in-law of the Maharaja's second son. When Gandhiji visited Cochin, he was well taken care of by Nethyar Amma's son. Obviously, the British rulers were not enthused about the activities of the royal member of Cochin and her close rapport with the freedom fighters. They did not want the Nethyar Amma to slip past their grip on her. The British rulers, who had the innate ability to outwit the villains of Shakespearean dramas when it came to diabolism and intrigues, decided to dethrone the Maharajah under some pretext because active, but subtle participation of the Nethyar Amma in the freedom struggle, went beyond the limits. The British higher ups succeeded in the abdication of the ruler on grounds of insanity and senility due to old age with a falsified medical certificate from an English doctor who was specially brought (for this purpose) to Cochin all the way from England. Subsequently the British got what they wanted and their British interests stood unopposed. 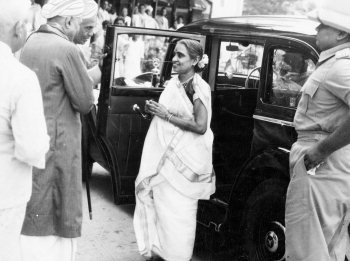 After the death of her husband, Maharajah Rama Verma in 1932, she limited her public participation. However, Nethyar Amma's close relations and her sons, like her, were nationalists and had close contact with Congress stalwarts and made valid contribution toward the development of Kochi. Following the preaching of Gandhiji, Parukutty Nethyar Amma had become an immortal figure in the history of Kerala and of Kochi, in particular. 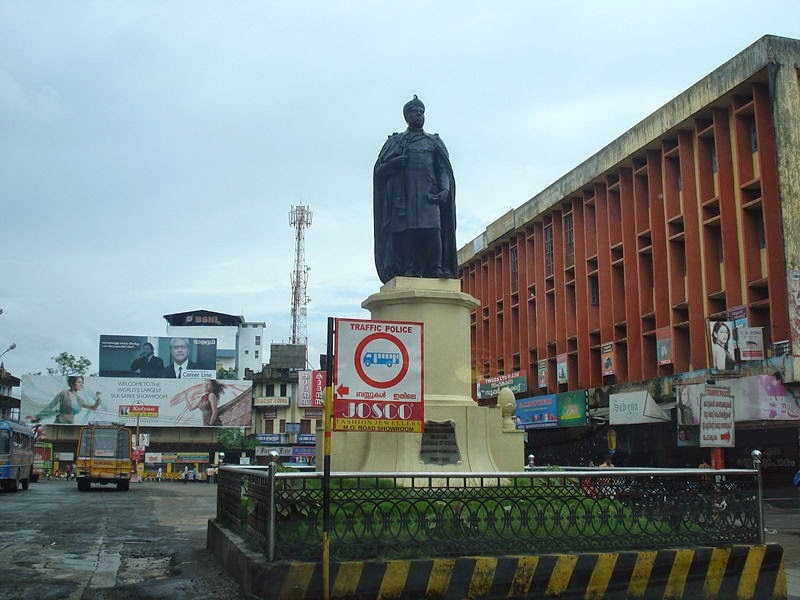 A great, gentle aristocratic lady of Cochin. 02. The Nethyar Amma, when she was just fourteen years old in 1888, married the Maharaja Rama Varma, then fourth in line to the succession. It was believed that she was blessed by the goddess (Amman) of Chottanikkara Temple. 03. The Maharaja, being a scholar, had other interests like herbal medicine and Gawli Shashtra - the language of home lizards. He is also believed to have cure for snake bites, etc. 04. According to the British intelligence report, "The hill palace is the center of nationalist activity and Charkhas have been introduced to assist the weaving of khadi." Pillai, Elamkulam Kunjan. Studies in Kerala History. 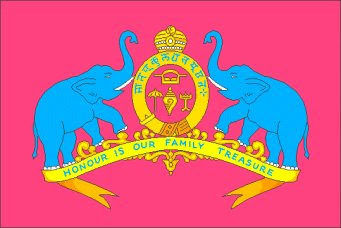 Thampuran, Rameshan (2007). "Emergence Of Kingdom of Cochin and Cochin Royal Family". Retrieved 6 January 2008.